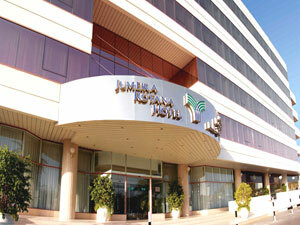 Hotels in Dubai - Bur Dubai Hotels an Bur Dubai Resorts UAE with huge discount guaranteed! Jumiera Rotana offers the quikest exist from the day's anxiety. Dive into our large temperature-controlled swimming pool or have a relaxing massage. Or choose to workout at Bodylines, our fitness centre. There's a small pool just for the kids to splash around in. Beaches, water sports, desert adventur, golf courses, nightclubs, shopping malls, restaurants, Dubai has something for every one. Rated as one of the safest cities in the world, it bustles with life all year round. And makes a good holidays feel great.